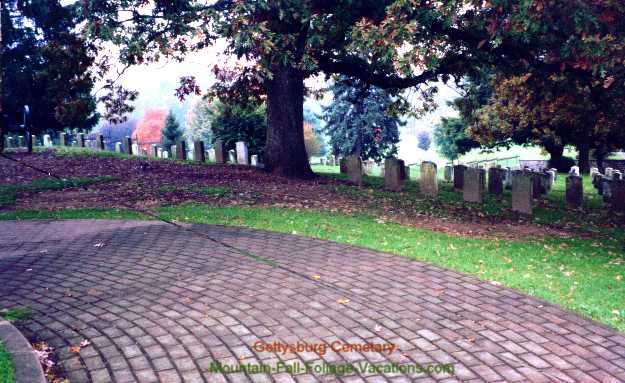 Below are some selections from our Gettysburg Battle Picture Album taken from pictures used on this Site. Vacations.com Domain Name text remains visibly displayed unaltered and readable on the image as it is on pictures below. Resale of these images or pictures in any form or use on another web site without our permission is a violation of our copyright. Preview & download 1 - 4 meg High Resolution, non-watermarked printable & commercially usable large file versions of some of these Gettysburg Battle Photos and over 90 other US Vacation Attraction & Point of Interest Pictures at the "Thumbnail" Preview picture box link & description below the pictures. The Battle of Gettysburg was waged on July 1,2, & 3 in 1863 and resulted in a major victory for the Union Army. It successfully ended the second invasion of the North by General Robert E. Lee's Army from Northern Virginia but did not end the Civil War. 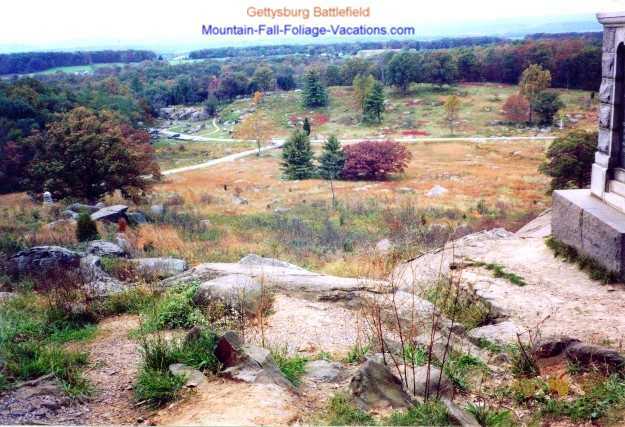 More Info at National Park Service Gettysburg Web Site with several links to interesting history and Gettysburg Battle picture gallery. The Battle of Gettysburg was the bloodiest single battle of the war. Over 51,000 soldiers were killed, wounded, captured or missing. An an estimated 569 tons of ammunition was used during the 3-day war. Share your experiences in the Pennsylvania Pocono Mountains area with a User "Rave, Rant, or Review" on your Favorite Area Attraction near the bottom of our Pocono Mountains Vacations Page Page. Your Review could even be a winner in our new Site Visitor's User Reviews Contest. You can also see Reviews & Comments others have shared. 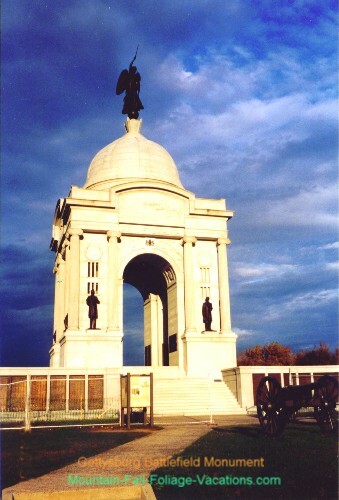 More on Historic Gettysburg and Gettysburg Battle National park Overnight Trip on our Sites Gettysburg Battle & Attractions "Must Sees + Tips" page. Other Pennsylvania Vacation Attraction Tips + Day Trip ideas on our Pocono Mountain Vacations page. Pennsylvania Dutch Country - Strange to see Horses and Buggys and Cars sharing the same highways - and a horse-drawn buggy with turn lights flashing signaling a turn! 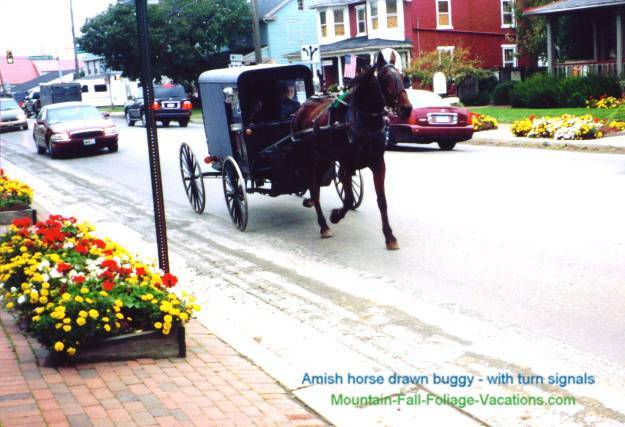 Like to visit the Pennsylvania Dutch Country and the Lancaster, PA area Amish Country? Read candid user reviews and see 30 Amish Community Lancaster, Pennsylvania Hotels & Resorts Ranked by User popularity with Comparison Pricing and pictures at: Find the best deal, compare prices and read what other travelers have to say at TripAdvisor for Lancaster, PA Hotels & Vacation Condo Rentals. Click green "B&B/Inns" Tab on page above to see User Ratings, and comparison Prices on 12 Lancaster, Pennsylvania area Bed & Breakfasts & Inns. Large High Resolution Photo Favorites from our 3 US Vacation Sites! 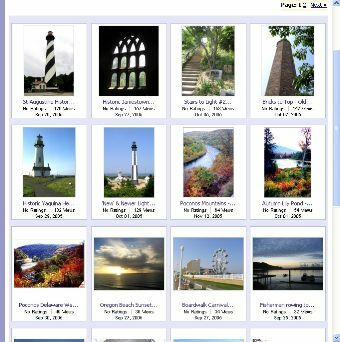 View a popular selection of over 90 Thumbnail Images of High Resolution Favorites from our 4 Vacation Site Photos. You can preview High Resolution approximately 1 - 4 Meg Image size Non-Watermarked Pictures from this site and our "sister" Memorable-Beach-Vacations.com Site + our NebraskaTravels.com Site which are now available for free preview and optional download in high resolution large Photo file size versions -- suitable for printing & framing or commercial use. If you are a Photographer and would like to sell your Images online at a VERY popular Stock Image Site, see Info at: Sell your Photos Online - You set your own image prices. 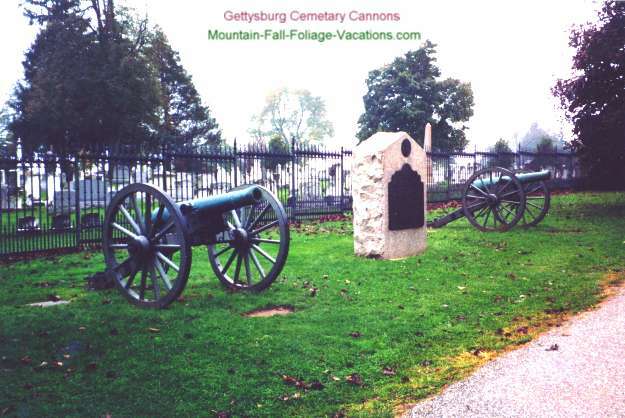 Historic Gettysburg and Gettysburg Battle National park Overnight trip with return Via Pennsylvania Dutch Country and Amish buggy country - "Must See" Atractions + Tips. Thanks for dropping by -- come back and visit us soon for Info on your next Affordable Gettysburg Battle Picture Album area Vacation or Gettysburg, PA Area "Must See's." Please send us any Comments or Suggestions you might have for this Mountain Fall Foliage Vacations Site to us on our Comments, Suggestion, & Favorites Form. If you have any personal Gettysburg Battle Picture Vacation Favorites or "Must See" Attractions you would like to share, please send them using our Comments Form above. Â Â Â Â Looking for something Specific? Search two of our US Vacation Guide Sites.